After her father committed suicide rather than face his mounting gambling debts, Oksana Wallingford knows she will have to work in order to keep food on the table and her younger brother, the new baron, in school. When her best friend finds her a position as the nanny of his brother’s children, it is the opportunity Oksana needs. But what she didn’t contend with was Rafe, the recently widowed Duke of Essex and her new employer. Oksana and Rafe’s personalities are like oil and water. However, what begins as mutual hate slowly begins to change into something more. But what future can they have when Rafe has sworn off marriage for good? As the mismatched pair struggles to come to terms with one another, a disaster that throws everything into question strikes them both. I found Grays Hill to be an engaging historical read. Though the overarching theme in the story is the duke’s recovery from the emotional damage he had suffered, effected through his romance with his governess, the story isn’t centered on the two romantic characters but rather embraces all the characters in its fold. They are warm, cheerful and you go happily along for a ride. At places there is lack of conflict which takes you out of the story and the interest wanes near the end because of that. Interaction between main characters started a little late in the book and ended a bit too early and the last episode along with the spotlight on the villain, in my view, was unnecessary. I enjoyed the middle half thoroughly. The heroine is unusual and takes the stage. But she is depicted so strongly that at one or two points one looks askance at the hero. I rate it four stars out of five for readability except the last one fourth of it, four stars for concept and world building. Read it if you’re looking for a historical, entertaining read which is not a typical genre cast. 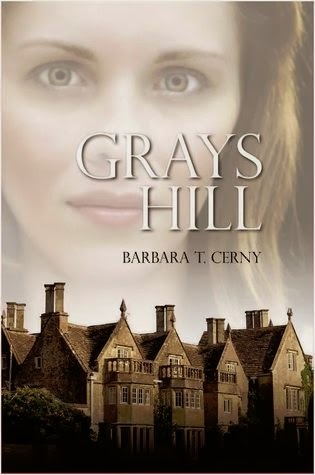 Today I have on my blog author Barbara T. Cerny talking about writing and her book Gray’s Hill. Let’s get to know Barbara through this interview. Q: Tell us something about yourself and how you got into writing? I grew up in Grand Junction, Colorado, a dinky town of 30K when I lived there. The place was full of stories. Stories of the old west and ghost towns and back roads that led to nowhere and towns called No Name. The place was also full of beauty: The Bookcliffs where wild horses roamed, the Colorado National Monument with its rock formations such as Independence Monument, the Kissing Couple, and Coke Ovens. It was a quiet place that was safe and easy to live in. It was a place where the imagination could run as wild as the juniper trees and sage brush. My parents were readers so I became a reader, too. I remember books being in my life from the very beginning. I have wanted to write since the second grade. I was always coming up with stories to tell my friends at lunch or on the bus rides to/from school. I wrote through high school – on the journalism team, in creative writing class, on the teen page for the city newspaper. Q: Your experience of writing a book – easy as pie or hard as nails? Each one is different. Grays Hill flowed fast. I had already done most the research for Of Angels and Orphans and I used all that research again for Grays Hill. I love to write descriptions (remember the 4 page description of the dress Scarlett O’Hara wore in the first chapter of Gone With the Wind? Okay, I am not THAT bad). Dialogue is very hard for me and I struggle with it and have to really concentrate on it. The editor working on my fifth novel is constantly telling me to rewrite descriptive paragraphs into dialogue (she is diabolical to say the least). I would be perfectly happy to write everything in a description. However, knowing that would drive away my readers, dialogue and I have come to a truce of sorts. For Grays Hill, the hardest part was moving Rafe from his hard as nails persona to a more loving persona. I was a fat kid, so writing about OJ being fat and losing weight was easy and very personal. Q: What motivates you to write? I think I was just born with a writing gene, if there is such a thing. I have done very well at my jobs over the years due to my writing ability even though that is not fiction (or is it?). I guess it is hard to find folks that understand technology (my degree is in computer science) and English at the same time. I write novels because it fills my “love bucket”, the thing that keeps me happy and fulfilled. I would love to make a living at writing but sometimes writing is enough. For Grays Hill, I have to admit up front that I stole the Masquerade Hall lock, stock, and barrel from the castle of Český Krumlov in the Czech Republic. My family visited it while I was on my two weeks off from my deployment (I am a retired lieutenant colonel from the Army Reserves and spent a year in 2006-2006 in Kuwait in support of Operation Iraqi Freedom). I was stunned at its magnificence and creativeness and the story of Grays Hill came crashing into my brain while I stood in that glorious room. That kind of inspiration has only happened that one time. Q: Please describe your book briefly. Well, one can read the blurb on the back of the book but it is really about growing up a finding yourself. Oksana Wallingford, aka OJ, is s a very strong woman. But she has lived at home taking care of her mother and little brother all her life. She is thrust out into the world and now must make it on her own outside the cocoon of her family. OJ is a large woman, in height and girth. She is ashamed of her weight but instead of lamenting about it she acknowledges it and decides to do something about it. She is strong, dependable, independent and above all humorous. On the other hand, Rafael Tarkington is one miserable human being. Burned by his first, deceased, wife, he has sworn off women and bitterness has taken over his life. He treats those around him with contempt and distain. However, through OJ’s amazing patience and fiery spirit, she finally teaches him that not all women are the same and love is defiantly worth it. This is the male character I wouldn’t want to hang around for very long. Q: How do you overcome writer’s block? I work on 2-3 books at a time. When one isn’t flowing, I go to another. Or I go do research or marketing. Q: Does writing get in your way of life? It is absolutely the OTHER way around. I write part, part, part-time. If I get in 2-3 hours a week, I am lucky. Q: What’s next in your writing plans? I have two books with editors. My regular editor couldn’t get into my paranormal, The Tiefling, so I had to find a new one. My new editor (the diabolical one), is changing every word, I think. But the novel will be pretty darn cool. It is set in Scotland, 1053, and first person male. I really had to get in touch with my masculine side for that. The sequel to Shield of the Palidine, called Magic Thief of Gavalos, is through my editor (the regular one) and it is well over 425 pages. It is with the illustrator at the moment. As editing is simply the start of writing, they both are still “current”. I am also developing three new novels: one romance is set in Sweden in the 1600s (researching the 30 Years’ War for background history), a second is a modern murder mystery called The Walled Cat (you will have to read it to understand that strange name! ), and a biography of an amazing woman I know. That biography is by far the hardest book I have written and will probably be the only non-fiction I will ever write. It takes a special kind of writer to do biographies and I don’t think I “have” it. Your favourite movie. You are going to laugh as it is so hokey now. Star Wars, Episode IV – A New Hope. It moved the movie business to a whole new level and started us down the path we are on today. It wasn’t so much the story but the technology. In 1977 I was a sophomore in high school and Star Wars was simply jaw dropping. I am such a geek. However, Beaches has to be right up there. I cry buckets every time. The worst movie you’ve seen Ator.1982. Any secret habit? I talk to myself, out loud. Mostly when I am driving. It is how I do dialogue between my characters. I am sure I look like an idiot to other drivers. Favourite book. The Stand by Stephen King. That book made me think more about the human condition and where we might be going than any other. And made me wonder if I would end up in Las Vegas or in Boulder. I hope I am headed toward Boulder. Fallback option when the fridge is empty. Raw pre-made sugar cookie dough. This might also be considered my secret habit! What comforts you when things go bad? Food and a good movie to cry to, like Beaches or Fried Green Tomatos or Water for Elephants. Your most comfortable outfit. Baggy jeans, T-shirt, hoodie, socks, tennis shoes. I wear suits and dresses to work everyday. On the weekends, it is dress down all the way! Hope you all enjoyed this chat with Barbara T. Cerny. Do check out her book Gray’s Hill. Here’s the cover and the blurb. 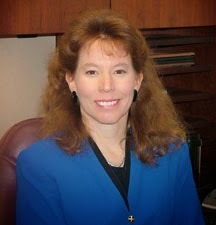 Barbara T. Cerny grew up in Grand Junction, Colorado. She served twenty-two years in the US Army Reserves, retiring a Lieutenant Colonel in 2007. She is an information technology specialist and supervisor. Barb writes historical romances good for late teen and adults. She puts a lot of history and adventure into her work. Words are her passion, they do matter.